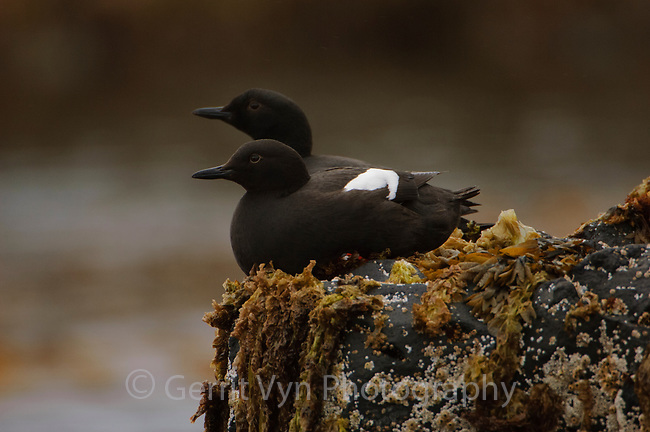 Pair of Breeding adult Pigeon Guillemots (Cepphus columba) loafing in the intertidal zone. St. Lazaria Island, Alaska. June.